During my time in Vancouver (Canada) Alcvin Ryuzen Ramos was the musician I worked with most often. Our group Maru performed in concerts, festivals, and collaborative projects with guest artists around British Columbia and Washington. Alcvin's huge sound and strong personal expression is a great match for taiko and other percussion accompaniment. Because both of us love to improvise, our music features open structures where we can create in the moment. 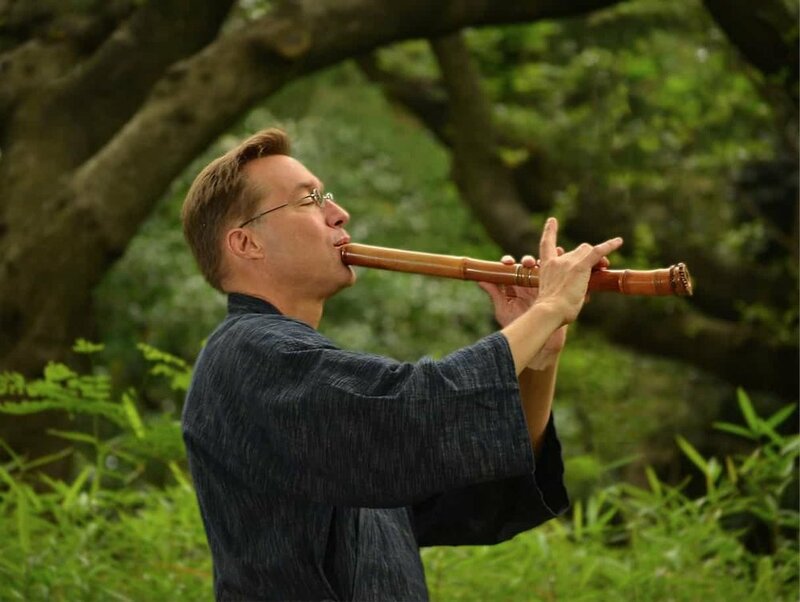 In the interview, Alcvin talks about his background, important teachers, the categories of shakuhachi, his roots pilgrimage trip to Japan, collaborating with other artists, and the music we made together. I have included some of Maru's music along with the conversation: Esashi Oiwake (Hokkaido traditional), improvisation on a fast groove, Sakura (traditional), Madake Grooves (Alcvin's piece), vibes & shakuhachi improvisation, and Wara (Eien's piece).